Happy Super Bowl Everyone! What a great day to gather around the TV with some friends and watch the great American game of Football….or maybe your are there to watch some great Commercials…or maybe just a reason to drink on Sunday with your friends! 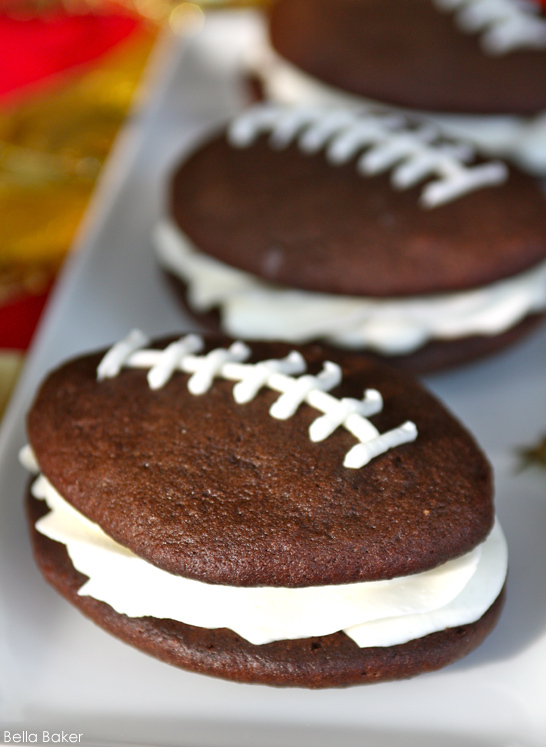 Whatever the reason you are gathered ’round together, I know these football whoopie pies from Bella Baker would be the crowning glory of the event. Make sure you check out the recipe on Half Baked to make these for tonight! Now go get ready for the game!! !